I have had a love affair with South Africa for many years and recently had the good fortune to visit a couple of areas that were virgin territory for me in the company of good friend, Joe Cornish. We visited the Drakensberg Mountains and the Wild Coast in Kwa-Zulu Natal. This article is the first of two and covers the Drakensberg Mountains. First, a little explanation of the area and it’s attraction to photographers. The Drakensberg is a mountain region of the uKhahlamba Drakensberg Park and is a World Heritage Site. Rising to 3482 metres, Drakensberg is Afrikaans for “Dragon Mountains” and uKhahlamba is Zulu for “Barrier of Spears”. As a mountain range, it is aptly named; the high peaks are hard to reach and the scenery is spectacular and rugged. At lower altitudes, horizontal layers of sedimentary sandstone and shale are topped by deep basalt flows up to 1.4km thick, which form the main escarpment. The sandstone zone, commonly referred to as the Little Berg, forms cliffs of multi-coloured rock ranging from black, grey, blue and red shale to the softer cream, yellow, brown and pink sandstone. The fauna (The area is home to 299 recorded bird species) and flora of the region, not surprisingly, follow the landform. The summit is Alpine like with heath-type vegetation and little animal life. The sub-Alpine grassland belt exists between the escarpment and the Little Berg with a greater variety of vegetation and trees and more plentiful animal life e.g, eland, baboons, oribi and grey rhebuck. 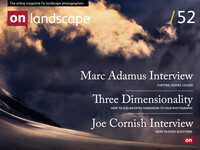 Joe, David Ward and I had talked for some time about a trip to scratch the photographic itch we all had for the area based on stuff we had read and seen. We wanted to have fun, but also thought the areas might offer the opportunity to run a photographic tour at some point in the future. I used some SA contacts to help us find a couple of people who could guide and inform us about the area and help us reach the most interesting photographic opportunities. We were truly blessed to have Nick van de Wiel, professional biologist and owner ofTailor Made Safaris and Emil von Maltitz, anthropologist, mountaineer and photographer for company. Both are immensely knowledgeable with a wonderful sense of humour; superb companions for our adventure. Unfortunately, David was unable to join us and therefore, with much excitement and anticipation, Joe and I arrived in Durban to be met by our guides in Nick’s 16 seater bus on steroids (he had removed 6 of the seats to provide more luggage space; suffice to say we had more than enough room). In terms of kit, I had the Canon 1DsMk3 and a Canon G11. Once again, the F-Stop Tilopa shell with X-Large Internal Camera Unit served me well in the field and as cabin baggage for both the long and short haul flights (Check out my review of theTilopa on a previous SA trip). The 4 Series GITZO Systematic CF Tripod and the Arca Swiss Cube did what they say on the tin. Travelling from Durban, our journey started with an overnight stop at the Glen Reenen Rest Camp, Golden Gate, where we enjoyed a sunset shoot of Brandweg Buttress and a couple of dawn locations on the Blesbok Loop that promised a lot and delivered somewhat less as a result of the low, grey cloud. After breakfast we headed for our second overnight at the Witsieshoek Mountain Resort Hotel, perched on the side of the mountain at 2300 metres; we encountered a huge electrical storm en route but otherwise we enjoyed good conditions of sun and cloud and stopped for a sunset shot of the spectacular Amphitheatre Wall. The plan for the following morning was to get up at 03.30 to see the sunrise from the top of the Drakensberg Escarpment. Alarms set, we rose from our slumbers to be met by pouring rain and visibility down to 25 yards. I went back to bed! After breakfast we set out to walk the 7km down the Mahai Valley to the Cascades waterfall. Magnificent. The wild flowers, the geology and the general mountain scenery were superb. During a particularly violent thunderstorm we took refuge under an overhang in the cliff and found a bushmans cave with a honeycomb roof. Magical. We spent a wee while there, cameras on tripods, having fun and capturing some memorable images. We met up with Nick at the Cascades and had a short journey to the Thendele Hutted Camp for the night. Superb facility with great location; unimpeded views of the Amphitheatre Wall from the terrace of the hut Joe and I shared, and Guinea Fowl pecking on the patio doors to be let in! Dinner was at the nearby Tower of Pizza! The name doesn’t do it justice. Great atmosphere in quirky surroundings and good food (Not a Guinea Fowl!). Up at 04.30 for a dawn shoot; walked literally 200 yards from the hut and looked at the classic view of the Amphitheatre lit by the soft dawn light with the Thukela River and rows of trees providing beautiful lead in lines. Breakfast, then a 14km out and back route up the Thukela Gorge to the “Tunnel”, a slot canyon. Views during the ascent and descent were immense as we traversed the mountain and passed through sections of forest with wild flowers, fungi and soft light offering great photographic opportunities. On return to the Camp, we packed and made our way to the Didima Resort. Surrounded by the beauty of the mountains, rivers, waterfalls and grasslands, the accommodation is unique, being symbolic of the San people who once lived in the mountains. The opportunities for dawn and sunset photography close to the Resort are endless with the mountains of Cathedral Peak, the Bell and the Horns in the background. However, in the Drakensberg, a little effort is handsomely repaid with spectacular experiences. Two were especially memorable. The first was the 4k hike up Rainbow Gorge, a slot canyon with a chock stone wedged between the walls of the canyon (Joe decided this was a scene from Indiana Jones and the Raiders of the Lost Ark; I prefer to think of it as the “Mother of all JCB’s”! For those who don’t know Joe’s work, JCB stands for “Joe Cornish Boulder”). Access to the canyon is a steep climb from the hotel, a traverse of the mountain before descending into a forest which tracks the gorge. Huge sandstone cliffs form the sides of the gorge and offer a superb backdrop to the river, the boulders and the occasional tree. The sandstone is lined, in parts, with what the Americans call “Desert Varnish”, a form of bacteria. Maybe “Devils Varnish” would be a better name given the depth of the black! The second spectacle was accessed in a 4X4 via a dirt road known as Mikes Pass which wind’s its way up the mountain; it has been closed due to surface condition for the last 12 months and we were the first people to be given permission to use it. Very bumpy, a little hairy at times, but once up the view from approx 2000M was superb. Leaving the vehicle, we climbed higher for a wonderful light display from the setting sun, shafting through the clouds and providing moody colour which was continually changing and transforming the mountains. We returned to the vehicle to find Nick waiting with a glass of red wine for us to savour before the bumpy descent in the dark to the valley below. THIS WILL MAKE A GREAT FINALE TO A PHOTOGRAPHIC TOUR! I can see it now. Nick, dressed in a butlers garb, complete with table set up with drinks and food at 2000 metres to finish off a 2014 Tour to the Drakensberg Mountains - Enter the Dragon! South Africa is appropriately referred to as the Rainbow Nation. To start the second part of our journey in this country that invades the senses, we left the Drakensberg and spent a night on the coast at Ballito before driving through the Transkei to spend a couple of nights in the Oribi Gorge en route to Port St Johns on the WIld Coast. This is an area every bit as memorable as the Drakensberg described in a previous post.....but different! First, Ballito. A pretty coastal town with beautiful beaches and a tidal pool, Ballito is a popular place to observe the "Sardine Run"; occurring between May and July, a huge shoal of sardines, reported to be in the billions, move north along the coast in the continually narrowing channel of cool water. The congestion creates a feeding frenzy for the predators i.e. dolphins, cormorants and sharks. Oribi Gorge was dramatic, but cold and wet....very wet! I became separated from Joe and Nick (Tailor Made Safaris) who feared I had perished by either falling down the Gorge or being swept away in the river, swollen with the continual rain. Nick pinned a note to a tree with his knife which read "DENIS - 15.00 - WE ARE LOOKING FOR YOU. WE WILL BE ON THE TRAILS BUT PLEASE WAIT AT THE CAR!". When we were eventually reunited, they informed me they were 30 minutes from calling out the Mountain Rescue folks! My text's and voice messages had not been received. Lessons learnt...I think! And so to Port St Johns, an area of the eastern Transkei Region of the Eastern Cape which has escaped industrial development and provides an authentic insight into rural life. It is referred to as the "Jewel of the Wild Coast". Situated at the mouth of the Umzimvubu river, it is dwarfed on each side by the rugged features of Mount Thesiger and Mount Sullivan. We were accompanied on our adventures of this beautiful region by John Costello, proprietor of the Outspan Inn, who proved to be a knowledgeable and humorous companion who shared the history, geology, culture, fauna and flora of the area with a dry wit....he also introduced us to "voice activation training"...think about it! His ability to communicate in several of the local languages proved invaluable as we explored the area around Port St Johns. The inhabitants of the Transkei share the Xhosa language but represent different tribes living under chieftaincies. As we meandered through the countryside the obvious other common denominator were the brightly painted "bungalows" built on small plots of land used to graze animals and grow basic crops. Scattered throughout the countryside, some are thatched, which provides warmth in winter and a cool atmosphere in summer. The alternative to thatch is corrugated tin sheets; a symbol of "wealth", they provide none of the benefits of thatch. As Nick would say, this is Africa! Driving the little trodden roads in Nick's 4X4 created more than a little interest with the locals who congregate on the road side; being chased by bare-footed children who try and attach themselves to the rear of the bucking vehicle adds a little spice, especially when you look through the rear window and see two pairs of eyes and the broadest grins, or was it grimaces, of the youthful limpets! The pace and rhythm of life in Port St Johns was much the same as before; up before dawn, out until late, followed by dinner in the restaurant attached to the Inn. Yet again, we had our share of unseasonal rain and electrical storms, but none of it dampened our enthusiasm for the area or it's people. A 2 hour drive on very difficult tracks brought us to Lupatana, a wild and isolated part of the coast where two ocean currents meet, creating huge energy which accelerates the waves along a rock shelf before spitting them over the top of the shelf in a mighty roar and plume of water. A challenge to keep camera, lens and body dry; sometimes it didn't quite come off but at least Joe saved the camera at the cost of a drenching. The variety of the landscape, fauna, flora and photographic opportunities abound. John and the staff of the Outspan Inn were superb, adapting to our timeframes and creating magnificent breakfasts, even when all electrical power was lost in the area; as Nick says, "this is Africa". The apparent anger and ferocity of the ocean at Lupatana can be matched by the relative calm a little further up the coast. The image below doesn't provide the best light, but as I was packing up, I saw what I thought was a wave breaking just off shore only to realise that it was a humped back whale leaping from the sea. Magic! By comparison, the tranquility of a dawn in the Transkei transports us to another world. We stand behind our cameras with nothing to worry us except composition, exposure etc whilst observing cows grazing on the fertile land and John wandering into and out of the frame! And then the reality of our little world, or lack of it, hits home as a lone runner appears over the brow of a hill. Thanks to John's linguistic skills and abundant charm, we understand that he left his distant village in the dark, has been running for a several hours, is heading for Port St Johns several miles away and will be returning home on the same route later in the day. Puts things into perspective! South Africa can overwhelm and inspire in equal measure. It is a country I will never fully understand nor grow tired of exploring and finding new challenges and experiences. Does it have problems? Yes. Will it overcome the problems and fulfil the dreams of its leaders and citizens? Who knows. What I do know, is that I am seeing the country through the eyes of a visitor and, as a result, my emotions are informed by me dipping my toe into the proverbial water; this is not full body immersion, nor will it be. However, from my skewed perspective, I know it is a wonderful country which demands a lot but gives so much in return; I guess it is one of the few things that defy the 3rd Law of Thermodynamics. In a little over two weeks, Joe and I met some wonderfully talented, proud and warm people who more than adequately presented and represented the Rainbow Nation. We intend to return and, who knows, maybe we will be able to share our experiences with like minded folks.